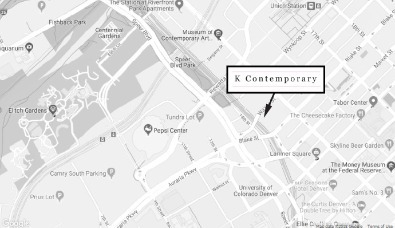 Located in the heart of Denver’s historic LoDo district, K Contemporary represents emerging and established international artists. The focus of the gallery since its inception has been to present immersive and experiential exhibitions. The gallery presents approximately eight major exhibitions a year, as well as mounting pop-up, off-site and satellite exhibitions and participating in major art fairs. We provide collection advisory and brokerage services and enjoy good relations with many Museums and Foundations. 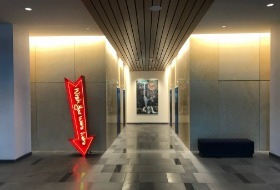 K Contemporary is a member of Denver Art Dealers Association (DADA) and is a partner in the 1412 Gallery Collective. Located just blocks from the David Adjaye designed Museum of Contemporary Art Denver and the vibrant Beaux Arts masterpiece Union Station. 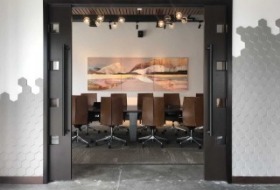 The 1412 gallery collective consists of business partners K Contemporary, Abend Gallery and Gallery 1261. 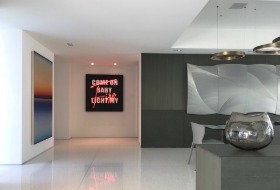 We are art industry veterans, with over 60 years of combined experience. This partnership allows our clients to discover and source a wide range of styles and aesthetics all under one roof. We provide collection advisory, delivery, installation and white glove service. Between the 3 galleries, we represent over 200 internationally, nationally and locally acclaimed artists, whose works have been acquired by prominent public and private collections around the world. We are not currently accepting new artists to our gallery roster but are always interested in familiarizing ourselves with new work. Please send an email to gallery@kcontemporaryart.com with your artist CV and a link to your artist website / social media. Please note that, because of the high volume of inquiries, we are not able to respond to every submission and may not be able to respond to or return submissions sent in the mail. No walk-in submissions will be accepted.